Is It Supply and Demand or is Higher Federal and State Taxes Increasing Fuel Prices? No one these days knows where the price of fuel is going. Fuel prices have been on a roller-coaster ride for some time and individuals across the United States are voicing more dissatisfaction with the fuel industry. Citizens realize that sometimes the fuel prices come out of necessity but other times many feel it is greed for the almighty dollar. Diesel fuel has a higher Federal excise and state tax placed on each gallon of fuel. Diesel fuel used to be a good buy with prices falling way below the prices of regular fuel. Now diesel fuel prices are climbing above regular fuel prices, which is out of the norm for diesel prices. 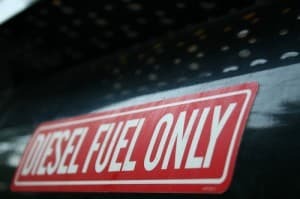 Diesel fuel is a less refined fuel thus cheaper to refine then gasoline fuel, which is the reason diesel fuel, has, for a long time been less expensive than gasoline. Many vehicles depend upon diesel fuel such as the commercial trucking industry. What fuel companies are discovering is that it is not always the process of the fuel but the demand of the fuel that raises prices. The proposed government plans are to decrease fuel prices for diesel fuel, while decreasing damaging gas fumes to the environment, and making the trucking industry more fuel-efficient by year 2018. In one of his speeches, President Obama has said that he wants to see more fuel-efficient trucks on the road, and this would help the environment plus consumer costs. He claims that the small percentage of diesel trucks on the roads is what is causing climate changes. By the year, 2018 new standards are to be set by the Department of Transportation and the Environmental Protection Agency, thus allowing for fuel-efficient truck fleets on the road boosting the economy. With this said, it may not be such a great idea driving a more fuel-efficient pickup due the prices. The Department of Energy will give specialized resources and expertise from a technical standpoint to join forces for more energy-efficient trucking vehicles. The other side of higher diesel fuel costs is that many countries find diesel still cheaper than gasoline. Many more vehicle owners abroad drive diesel-powered vehicles. Many less vehicle owners in the United States drive diesel-powered vehicles. Some feel that if more United States consumers drove more diesel-powered vehicles than the price of diesel fuel would decrease below that of gasoline with more fuel stations offering eco-friendly bio-diesel fuel at lower than gasoline prices. Diesel driven consumer vehicles are not so great these days. However, diesel prices may be looking up by 2018. The trucking industry is apparently on board with what President Obama is suggesting for increasing fuel efficiency for heavy machinery, engines and vehicles. The trucking industry and the Environmental Defense Fund see these new standards for fuel economy a great savings for families and businesses and a redeeming feature for the environment. ← 2015 Ford with a Plow?